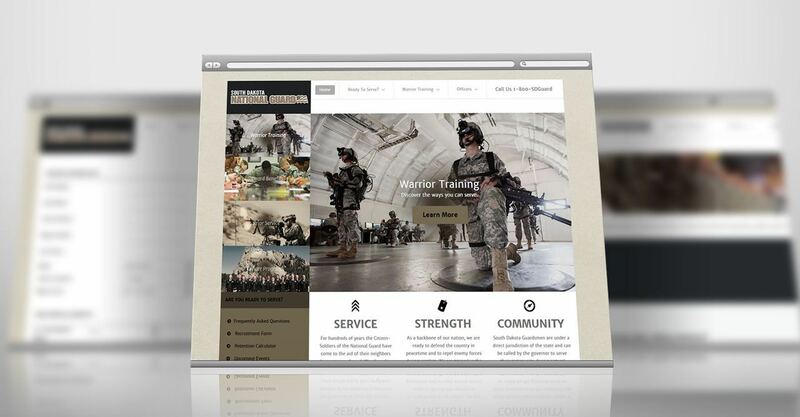 The South Dakota National Guard needed a website that was easy to update, mobile responsive, and have intricate capabilities such as a retainer calculator. They knew Spore Creative was the only in-state firm that could do the advanced programming and keep transmitted data secure. South Dakota National Guard needed a new website as their previous provider had failed to follow through with support contract agreements. As we’d initially be brought in to manage the online forms for their previous website – they knew Spore Creative was the company for the job. We are currently in development on a brand new website that is mobile compatible, features online retention calculators (with custom programming for all scenarios) and dynamic programming for user engagement.